Intermittent Fasting Coffee: Is it OK to Drink Coffee While Fating? Intermittent Fasting Coffee: Say it Ain’t So…Nothing Allowed in my Cup of Joe? For the past 6 months, I have practiced an Intermittent Fasting Lifestyle (IF). Not an expert perhaps, but well on my way to embracing this way of life. For one thing, I’m not referring to it as a diet anymore. Intermittent Fasting (IF) was something I thought I’d try for maybe 2 weeks-like every other failed diet I had attempted. You name it, I’ve tried it! Weight Watchers, Atkins, Low-Carb, Keto, Protein-Power, Fat-Flush, South Beach, Fit by 50, Nutrisystem, Low-Calorie/High Fat, High Calorie/Low Fat, Counting Calories, Counting Macros, Counting Steps… I could name 20 more, but you get the idea. Within the first two weeks of following my Intermittent Fasting plan, I knew IF would be a game-changer for me. But prior to that revelation, I also knew I had to conquer one very big roadblock before I could even begin. One might think the biggest hurdle to starting IF would be learning just how IF works, deciding which IF pattern to follow, or committing myself to “FAST” or abstain from eating even a morsel of food during my established FASTING period of time. However, for me, black coffee had to be the biggest challenge. Accepting the Clean Fast Concept AKA Black Coffee Only! If you’re new to intermittent fasting, there’s some good news – it’s OK to drink coffee while fasting! The bad news is that it has to be black coffee. The biggest struggle for me was accepting that during my fast time, I would be required to drink my beloved coffee straight-up BLACK. No sweetener, no half-and-half, no heavy cream, no coconut milk. And for you keto folks-no MCT oil, no butter, nothing. However, one of the great things about intermittent fasting is that it is truly intermittent, which means it won’t last forever. Because the fasting portion of this way of life is alternated with periods of open eating or feeding, creamy coffee lovers can enjoy their coffee any way they like, once they break their fast each day. So it’s temporary, I told myself. I can do this! I can just wait to have my coffee until later in the day, when I’m done fasting. Uhhhhhhhhhhh- NO. I knew I would need my morning coffee and perhaps a second cup to see me through my fasting hours. So I searched and searched and I WAS able to find versions of Intermittent Fasting plans that allow for rich creams or even sweeteners in one’s coffee while fasting (we’ll be talking about this practice in more detail below). But I had to admit that a “clean fast”, which only allows for black coffee, plain tea, and water (including unflavored seltzer), still impressed me as the most effective method. Why? Because a “clean fast” is the ticket to being certain we aren’t putting anything into our system that could cause an insulin response! And why don’t we want an insulin response? Because insulin is the hormone that activates the process of fat storage. When that baby wakes up, it gets right to the business of actively trying to store more fat, so we can’t possibly burn the fat we already have! We can look at charts and graphs to explain the complex process that occurs in our bodies as we fast, but the bottom line is that we want to keep insulin levels as low as possible, for a significant period of time, so that fat can’t be further stored in our cells. Plus if insulin levels are elevated (even slightly), lipids, which are the vehicles that work to get our FAT out of our bodies, can’t do their job and our own FAT is stuck, like a broken down car. When insulin is at work it is impossible to lose fat. I next thought about giving up coffee completely! If I couldn’t have it the way I enjoyed it, I just wouldn’t have it at all. But then I learned of research showing that coffee, in particular, actually helps with the phenomenal fasting benefit called autophagy. It appears that whether one chooses regular or decaf, the polyphenols, which are antioxidants in coffee, can work at the cellular level to speed up the process of autophagy! Autophagy is perhaps the ultimate benefit of intermittent fasting. So although I was first attracted to IF as a weight-loss plan, autophagy is the gift convincing me to practice intermittent fasting as a way of life. You may have heard about autophagy and I have written about it before, but it is worth a refresher: The process of autophagy is like a great recycling center in our body, taking in our defective cells and bad proteins and then regenerating them into new fresh cells and tissue. The list of positive health benefits is impressive with improvement and/or protection from the aging process, Alzheimer’s disease, Parkinson’s disease, cancer, cardiovascular health, and more. Coffee for the autophagy win! Some IF Experts Say Additives in Your Coffee Are OK! While I’m committed to keeping a 100% clean fast, it’s worth noting that some experts will say you can have your cake and eat it too, or rather you can have a successful fast and enjoy your coffee with cream and sugar too! But, reading between the lines tells another story. Some studies show that aspartame and saccharin have no effect on insulin when added to coffee. However…these sweeteners have been shown to increase risk of cancer and tumors so well…there’s that ugly truth! Conversely, a 2013 study completed by researchers at Washington University School of Medicine, presented the exact opposite, showing increased reactions in receptors on the tongue, when participants were given artificial sweeteners. Their study concluded that if the receptors are capable of detecting sweetness, even though calories aren’t present, a hormonal response (insulin release) is likely. Many fans of bulletproof coffee may wonder – can you do intermittent fasting coffee with coconut oil? The short answer is yes (according to some) – but it may not be your best option. 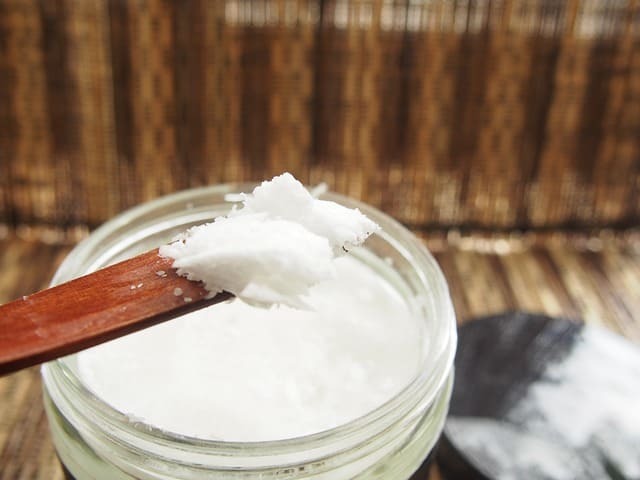 At first glance, it appears that Dr. Sara Solomon is in favor of adding coconut oil to coffee during a fast when she indicates that coconut oil doesn’t spike insulin response. But if we read carefully, she also explains that the added fat is better saved for our feeding time, not our fasting time. Our fasting time shouldn’t be wasted burning extra fat and calories we take in from oils we add to our coffee. I don’t know about you but my fasting time needs to be all about me, me, me and my own beautiful fat burning! Even Dr. Jason Fung says he uses a touch of heavy cream in his coffee! Does adding cream to your coffee make you hungrier throughout the rest of your fast? If yes, then you know you have spiked an insulin response and cream is a no-go for you! Hunger and cravings initially are common, but after a few days of routine fasting, if these symptoms continue, it is an indication that something is triggering an insulin response in you, causing these cravings. Is it something you’re adding to your coffee? Are you using just one teaspoon of cream in one cup, or are you dumping a half a cup of cream in several cups throughout the day? Big difference. Are you using cream and still getting the weight-loss results you would like, or is it time to leave out the cream and see if your results improve? So are the experts really telling us it’s OK to use additives in our coffee? Perhaps some who are misinformed or have different fasting goals are. But I think others simply have been asked the question over and over again and want to throw the ball back in your court. What works for you? Is it worth it? With my decision made, I set out to develop my palate for black coffee. I’m not going to lie! Not having any research to turn to, I just awkwardly stumbled through the transition from my creamy-java-joy to bold mugs-of-murk. Initially, I slowly reduced the amount of cream each morning, trying different brands and making runs to the local WAWA and Dunkin’ to see if their brews made a difference. Although I enjoy good, fresh roasted coffee and love to sample different local selections, I am also someone who is perfectly happy turning to my Keurig K-cups when I am pressed for time. Ultimately, my Keurig machine was easiest as a first step for experimenting with black coffee flavors and strengths. Tip #1: Choose light-to-medium, smooth k-cup selections. My favorites have become Veranda Blend, Pike’s Place, and Breakfast Blend. Yes, these are all Starbucks varieties. I ruled out Dunkin Donuts K-cups and most Green Mountain varieties for being too strong or acidic as a black coffee option for me. A word about the Clean Fast and k-cup flavors: much like debates about the use of sweeteners or cream in your coffee, many IFers wonder if they can choose flavored k-cups while fasting. The safe answer is no. If there is a chance the flavoring in a k-cup could elicit an insulin response during your fasting hours, why chance it? Certainly, k-cup flavors like the chocolate glazed donut or toasted marshmallow mocha (yes, that’s a real flavor) have artificial sweeteners. However, some IFers insist there is no reason to stay away from flavors that are not sweet but have natural flavoring from the beans, such as hazelnut. But even natural flavors can trigger an insulin response. You may just need to try it both ways and decide for yourself. Easy answer: play it safe and learn to enjoy your k-cups black while fasting. You can always enjoy a Kahlua & Cream k-cup during your feeding time! Tip #2: Always start with clean, fresh, filtered water in your Keurig reservoir. Filtered water is essential for great tasting black coffee. With no additives, you don’t have anything to mask any water impurities (a dollop of cream goes a long way to covering up bad-tasting water). In addition to using filtered water, it is imperative that you keep your Keurig reservoir clean. If your model has a replaceable built-in filter, make sure you change the filter regularly. 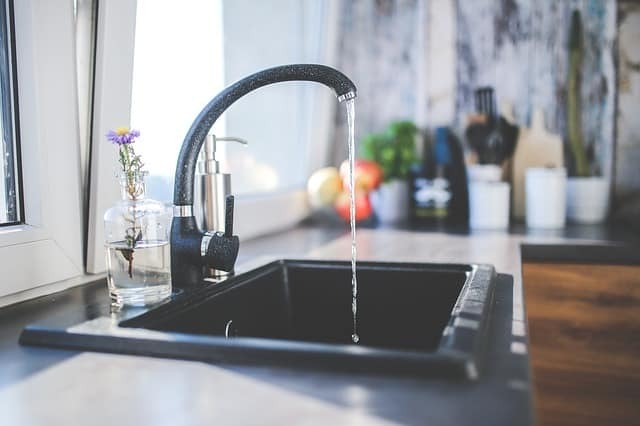 If it doesn’t have a filter, just make sure you are using fresh, filtered water for brewing. Tip #3: Drink your coffee while it is hot, or keep it in a thermal mug. Reheating coffee breaks down the components, resulting in a bitter taste. 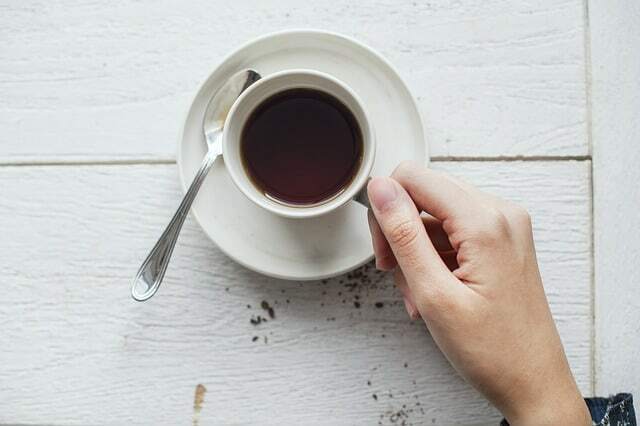 With no cream or sugar to balance the flavoring, black coffee will more immediately taste bitter when reheated. If you find you must reheat your black coffee, absolutely do not use the microwave. Reheating coffee this way will break down the aromas and cause your coffee to taste stale instantly. If you must reheat, the only safe method is to use your stovetop set to a low temperature, never letting the coffee bubble or boil. I also experimented with home brewing my black coffee. Smaller 4-cup automatic drip brewers seem to work OK for black coffee. 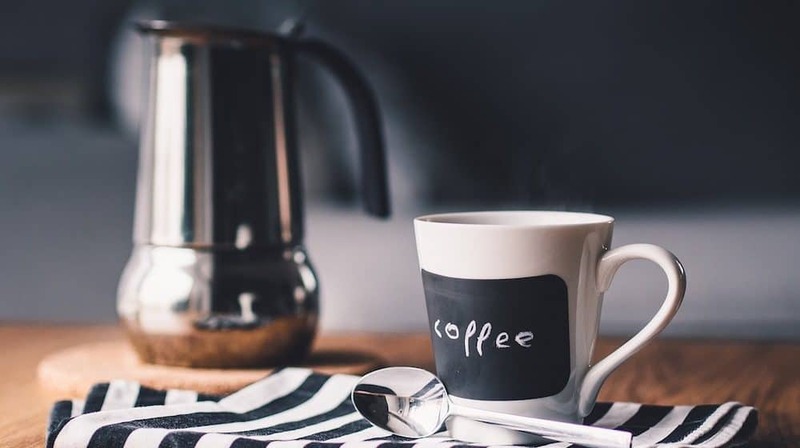 Brewing larger pots of black coffee just seem to dilute the coffee’s flavor and body, and the larger quantity, left sitting to be served, doesn’t fare well even 15-30 minutes later. I recently had the chance to chat with my friend Mackenzie, an experienced manager of a popular coffee store in central Pennsylvania, who also is a bit of an expert at home-brewing. 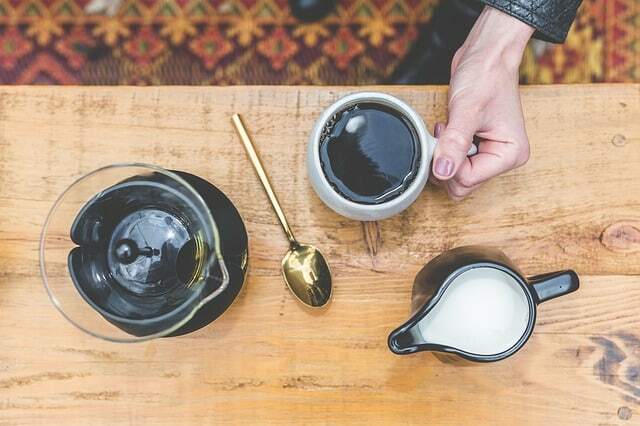 Use a French press for the best black coffee you can brew at home. Mackenzie recommends the larger 34oz. size, so you have the option to brew for family or friends once you master the process! Make sure your beans are coarsely ground, not finely ground. Mackenzie explains that using a French press is an “immersion brewing” process which means the coffee grounds steep in the water for several minutes. With methods like this, when the contact time between the water and the grounds is longer, a coarser grind is essential. If the grind is too fine, the grounds can get stuck in the filter or even get through the filter causing problems. It can make it harder to press down on the plunger and your coffee can end up with grinds in it. Worst of all, the finer grind means the coffee is left in contact with the water for too long, causing a bitter brew. Start with good, ethically sourced beans with no fillers that could compromise or diminish their flavor (do your homework). Mackenzie recommends trying a variety of beans from your favorite local shop or from places like Trader Joes, Whole Foods, or Starbucks. Practice makes perfect, so following the steps presented in this video below or check out our suggested homebrew French press directions further down. 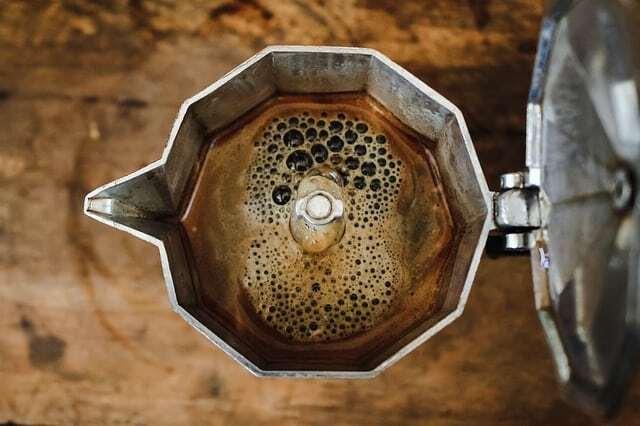 Start with fresh, cold water and bring it to just under a boil in a standard tea kettle or even just a pot, while you prepare your coffee for the French press. It may be a grind…but for the freshest coffee, it’s best to take the time to grind your own beans at home, each day, just before brewing. Having your own grinder is pretty key! A simple model like this KitchenAid coffee grinder does the job. For French press coffee, we recommend grinding for no more than 10 seconds, yielding medium-coarse grounds. Add your ground coffee, one tablespoon per 4 ounces of desired coffee, to your French press. Add about 1 cup of the hot water (be sure it’s not boiling water) to cover the ground coffee in the French press. Note: adding boiling water will immediately bring out the bitter flavors of the coffee. More water may be needed to be sure to thoroughly cover the grounds. Wait 1 minute and then gently stir the crusty layer that forms on top. Place the lid on your press and DO NOTHING except set a timer for 4 minutes (when first learning to enjoy black coffee, you might want to go with slightly less time). When the time is up, gently press the plunger down SLOWLY. Immediately pour the coffee into your mug or thermal carafe and enjoy! 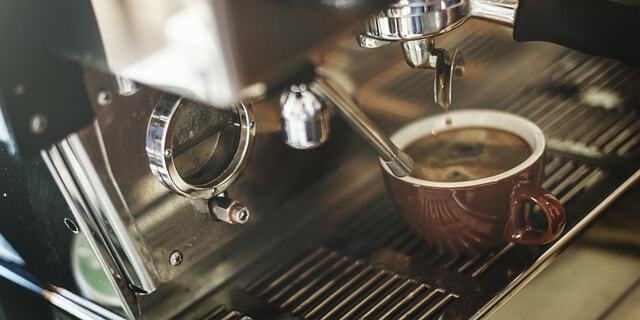 A tip from expert coffee shop manager, Mackenzie: If you don’t have a grinder, many coffee shops will grind the coffee for you if you purchase the beans at that shop. It’s always better to purchase whole bean coffee and have it ground the day you buy it, rather than buy already ground and packaged coffee that may have been sitting in a warehouse or on store shelves for weeks or months, losing it’s luscious flavor, not to mention being ground too finely. Alternatives to Hot Black Coffee: Try it Cold! Fortunately, the hot coffee options have worked out well for me, and I have happily settled in to my “clean fast” black coffee Intermittent Fasting lifestyle. But many, many fellow IF–ers aren’t so lucky and struggle each day to gulp down their bare brew. For these friends, I turned again to expert coffee manager, Mackenzie. Mackenzie has worked in several branches of a very popular national chain of coffee shops and has experience with customers trying to comply with a variety of diets. Keto, Whole30, Vegan, and many more. She says that she and her staff have learned a number of tricks to help customers who struggle with switching to black coffee after drinking their favorite “Large Caramel Cappuccino with Whipped Cream” for years! Iced Coffee would be Mackenzie’s first go-to choice for someone having a tough time with the black coffee transition. Different than cold brew, iced coffee is truly just brewed coffee that has been cooled down and then refrigerated and served over ice. If a smooth, medium brew is used, iced coffee can be refreshing and mild. Nitro Cold Brew is a newer option offered in some coffee shops. Mackenzie advises that beer lovers transitioning to black coffee often enjoy this cold brew option infused with nitrogen. It is truly just black coffee plus nitrogen, but due to its creamy texture and flavor, it is often more palatable for those used to coffee with cream or sugar. You won’t be breaking your fast with this one, but it may not be readily available to you all the time. Next up, and our favorite choice would be the wildly popular cold brew. You can find cold brew coffee available in most coffee shops and in bottles at stores, but it’s actually quite easy to make at home as well. Cold brew may be your answer as a best black coffee bet! Mackenzie warns we should be aware that cold brew typically has a much higher concentration of caffeine than iced coffee or hot coffee-so watch out! One great advantage of cold brew is that you can brew a big batch and continue to use that single batch throughout the week. The longer brewing process is more forgiving to coffee beans and up-to-date freshness isn’t quite as critical to good results. Cold brew coffee is also less acidic and easier on the stomach than hot coffee. Cold brew isn’t some secret magic recipe. It’s really just coffee that’s brewed cold. You soak the coffee grinds in water for a long period of time, filter the grinds out, add more water to dilute that super-potent coffee, and you have cold brew! If you aren’t ready to make your own cold brew, drive on over to your local Starbucks or other favorite coffee shop and order one to try it out. But if you’re feeling adventurous and want to try making your own, follow our instructions below. Making your own cold brew coffee is really simple and easy, so we recommend giving it a go! Brewing your own cold brew coffee at home is pretty darn easy. Check out our instructions below. STEP 1: place about half of the ground coffee (8 ounces) into the large glass container. STEP 2: add 6 cups of cold water to the grounds, covering completely, and let it sit uncovered for about 6 minutes. STEP 3: add in the remaining coffee grounds (another 8 ounces) and another 4 cups of cold water and give it all a gentle stir to blend. STEP 4: cover/seal the container and place it in your refrigerator for about 24 hours (note: for a faster process, you can choose to let it sit out at room temperature for 10-12 hours, but the preferred method is to allow 24 hours in a cold temperature to yield a better flavor without acidity and bitterness). STEP 5: After 24 hours, pour the mixture through the mesh strainer atop another glass container. You’ll have a large pile of coffee grounds mounding in your strainer. Let the batch of grounds sit in the strainer and drip into the container below for several minutes, but don’t press or pat down on the grounds. After several minutes, move the strainer with the grounds to the side. STEP 6: Now complete a 2nd straining of the coffee liquid to be sure it is fully strained: Dump the coffee grounds that were in the strainer so you can use the strainer again (you can throw them away or save them as a great fertilizer for your garden!). Put a coffee filter or your cheesecloth (you can even use a paper towel if you don’t have a coffee filter/cheesecloth) into the mesh strainer and place it over another glass container. Gently pour the filtered coffee through the filter and let it slowly drip into the glass container below. If the filter fills up, just wait and let it drip naturally (this could take up to 10 minutes). You should see some nice silty-sludge left in the filter! STEP 7: Now you have your cold brew concentrate in your final glass container! This can be stored for up to 2 weeks in an airtight container in the refrigerator or used right away. 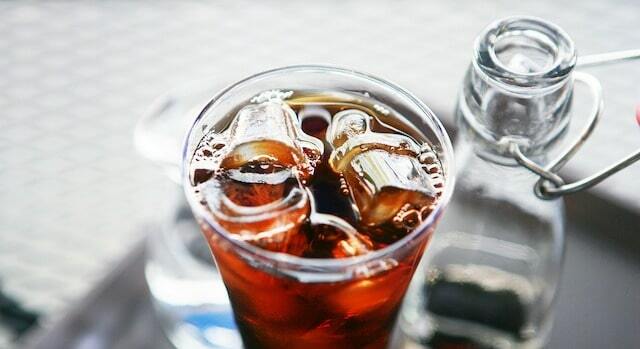 TO SERVE: Mix an equal amount of cold brew concentrate with an equal amount of fresh cold water, and pour over ice. Happy homemade cold brew! If you’re ready to move beyond DIY and step up your cold brew creations, we recommend this no-frills Cold Brew Coffee Maker for its simplicity and performance. Recently I discovered a wonderful little trick, readily approved in the IF world. Adding just a pinch of pink Himalayan sea salt to black coffee really cuts down on bitter taste and also enhances flavor. Evidently, “salting” coffee is a practice that has been around for years and is common in other countries. 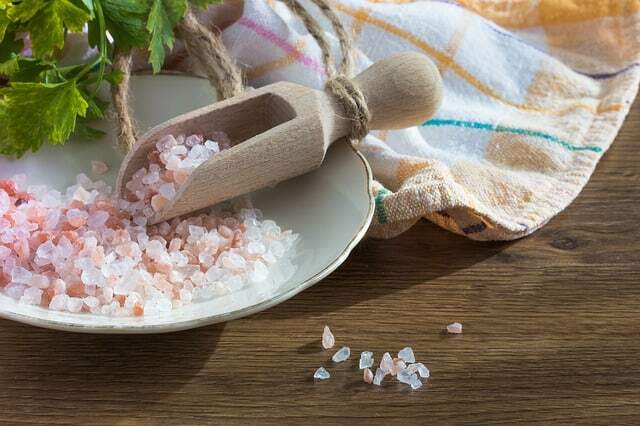 Using pink Himalayan salt as opposed to plain salt has become more popular recently, because of the particular electrolytes and trace minerals it contains. Keep in mind that when considering using pink Himalayan salt in your coffee, it really is more for taste than for the health purposes. Some experts warn that the best way to reap the benefit of the pink wonder is to place it directly on or under your tongue, so that it can be immediately absorbed into your system. Adding it to coffee or water would minimize that process. Since it is an approved IF ingredient, doesn’t spike an insulin response, and makes for a more smooth and delicious black brew, add a pinch and see if it doesn’t make a difference! As an easily dissolving fine ground salt for your coffee, we recommend Sherpa Pink’s Himalayan Salt. 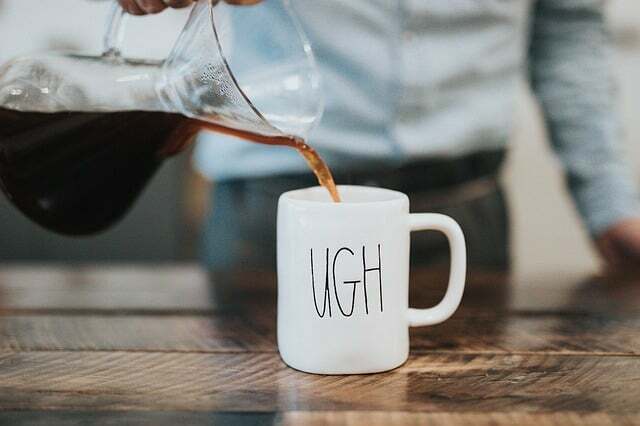 I truly didn’t think I could make the switch to black coffee, but within 2 weeks of drinking it, I honestly looked forward to it each morning, just as much as my former cream-laden version. And more surprising to me, when I break my fast each day, I no longer crave a cup of creamy Joe as I did when I first started. If I DO have cream, I can only use a tiny amount because my taste buds truly have adapted. So give a French press a try or experiment with cold brew or try some new medium-roast K-cups, and change your water filter for the freshest possible start! You can do this! Let us know how it goes. What are your tips for transitioning to drinking your coffee black? Leave us a comment below!